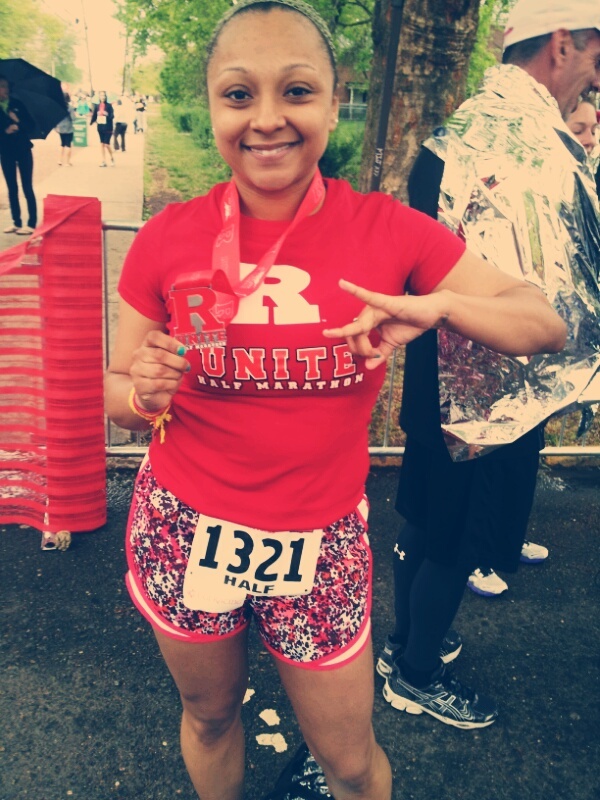 I’m not sure why I chose the Rutgers Unite race, but I figured it was as good as any race to run. After a little over four months of training I finally stood at the start line of my first half marathon, but not as prepared as I had expected. The morning started out like an episode of The Twilight Zone. I didn’t have a ride to the start, I hadn’t eaten an actual breakfast and finally, I realized I still had my pants on after I left my stuff with bag check. As I made it to bag check I heard the one minute warning. Three seconds before the actual start I was trying to push myself up towards my corral all while pinning my bib to my pants and then realizing they would eventually annoy me. Just as the race started I got my pants off, tossed them (they are now at some donation site in New Jersey), and began in the 10:00min pace corral while re-pinning my bib and Gu Chomps. To add to this I forgot to apply Bodyglide to my thighs, which I regretted after Mile 4, and I had to run with cellphone to access my music. Could anything else go wrong? Maybe. Around Mile 8 I scored a Banana Hammer Gel, but held out for almost a mile before I downed. At Mile 9 it began to drizzle. Thankfully the case on my phone kept it from getting wet, but my new headphones were going in and out. The race ended well, minus the fact that there is a decent incline before you make it across the finish line. There were definitely more hills and inclines than I was told. When I asked at the expo they reiterated that the course was indeed flat. A few friends agreed with my assessment so I knew I wasn’t crazy. My overall goal was anywhere between 1:45-1:59 and I’m glad I stayed within that range. My official time was 1:54:06.5 and while it may not get me into the Boston Marathon, I’m proud of that being my time on my first half marathon. Would I run another half or try a full, I can’t say one way or another, but I respect anyone that does! 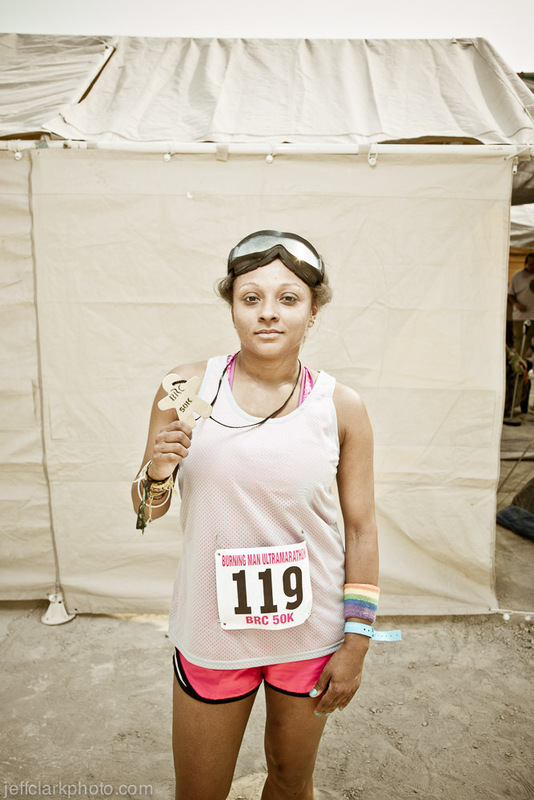 I think I’ll do a few 10k events before I consider another half. I recently joined Elfster in order to participate in a few secret gift exchanges. After creating my profile I was prompted to select items on a “wishlist” so I could give my “Elf” suggestions on items I wanted. At that point I drew a huge blank, what do I want? I generally don’t like asking for gifts so this was going to be a tough one. I tried thinking outside the generic sweater and gift card requests and then it hit me.. I’m going to learn how to knit! I put a learn to knit kit and yarn on my list and figured I was done. No need to send my elf on a wild goose chase to find something that I might like. I thought about the fact that I now needed to wait four weeks to take on this take, hell no! Being the typical Virgo I headed to Michael’s and chatted up a few women that were in the yarn area. I walked out with four sets of needles, a ton of yarn, and the idea that I would figure this all out thanks to some Youtube videos. Three weeks later, I have definitely take a liking to knitting. I created a scarf that I think looks pretty good, people have definitely complimented on it, a hat that needs a little work, and I am starting on a cowl. I definitely enjoy it so far. I do plan on getting circular needles, they ended up on my wishlist en lieu of the learn to knit kit. Let’s hope I get those needles and I can keep this hobby up. Oh me, oh my… where do I begin….this is my 2nd year fasting for Ramadan. This 1st week of fasting hasn’t been so bad, it’s slowly becoming easier to fast although it is still hard to handle all the other aspects of Ramadan. One reason I actually began fasting was when a friend mentioned the idea of me fasting with her. I got so much of it last year that I am again fasting this year. I have also taken on reading the Quran. In addition to simply fasting I have learned that I should focus on the betterment of myself as well as helping others. Being more patient has been a task I am constantly working on, but I push myself to try harder, especially during this time. I understand the importance of patience and humility, and I hope to work to better incorporate them into my everyday living. I’m currently on the 4th Surah and I have to say the Quran is something I think all people should take the time to read. Even if it is not for religious purposes, to have an understanding for another religion and/or way of life is something we should all invest time into. I think people would be surprised at the amount of similarities their religion has with Islam. I look forward to the next 25 days of fasting; mentally, physically, and emotionally. Similar to last year I will be celebrating my birthday during the holy month and having my dinner party/iftar with friends. I also look forward to hosting iftar for my friends so that we can enjoy it together. Ramadan Mubarak to all those fasting this year!